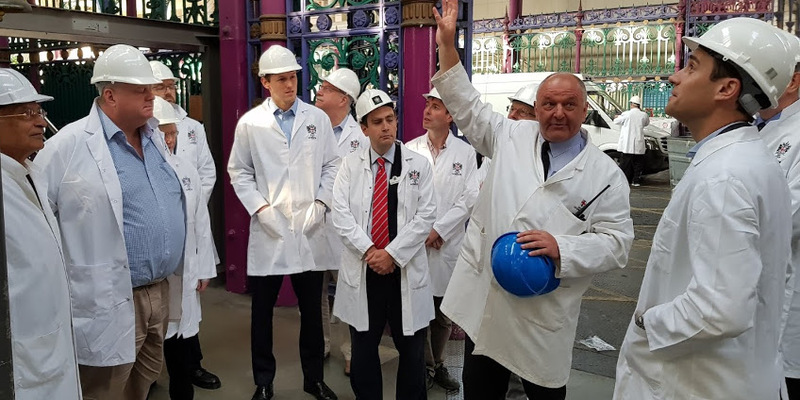 As part of the Master’s focus on the London markets, we were 12 World Traders who turned up at seven o’clock for a tour of the Smithfield Market. Smithfield Market is the only centrally-located London market, and still serves a large amount of the meat to restaurants and butchers in London and around the UK. We were kindly introduced to the history of Smithfield by Mark Sherlock, the Superintendent of the market. He told us about the background to the market, started in the 10th century as the ‘Smooth Fields’, for live cattle and livestock as well as meat. Some of the changes in its 1000-year history have included the removal of the livestock, the creation and removal of an underground steam railway to transport livestock to the market, and some V2 damage during WWII. In 1958, a great fire destroyed the Poultry Market, which was rebuilt in the 60s with the largest concrete dome in Europe. The Museum of London will move into the General Market (the west-most, currently derelict building) in the next five years. 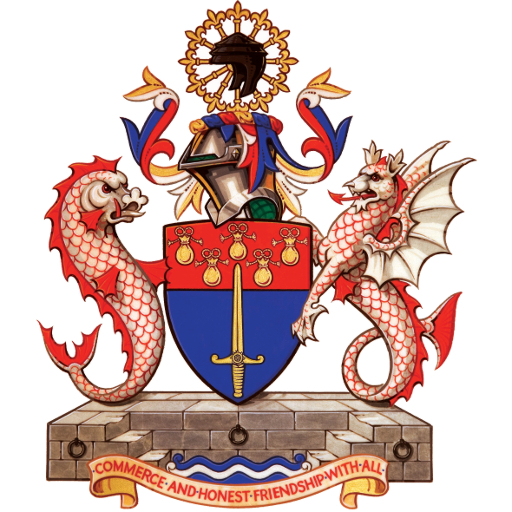 There are also discussions about whether Smithfield, along with Billingsgate and New Spitalfields, should all be moved to a joint location outside of London. Notwithstanding all the changes, Smithfield is still running and receiving more than 2,000 carcasses each day. These are hung on hooks that run across the site, so that they can easily be moved around by hand power. The Market gets most of its meat from the UK, but also some from France, Benelux and further afield. Typically, meat deliveries arrive in the evening, and the market operates from 3am to 9am each day. Ian Dorling, the Head of Security, dressed us in beautiful white butchers’ white coats and hard hats and gave us a tour of the site. His insightful comments were much appreciated. We ended the tour with breakfast at Smith of Smithfield’s across the road, accompanied with some knowledgeable market traders.